The concept of an agile government is not restricted to software development. 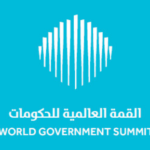 Leaders at the World Government Summit emphasized the importance of agencies adopting a mindset of agility during times of change and technical advancement, according to Emirates News. At the Summit, bestselling author and journalist Steven Kotler identified several features of an an agile government: shared goals, equal participation, open communication, and readiness to adapt in order to serve citizens effectively.